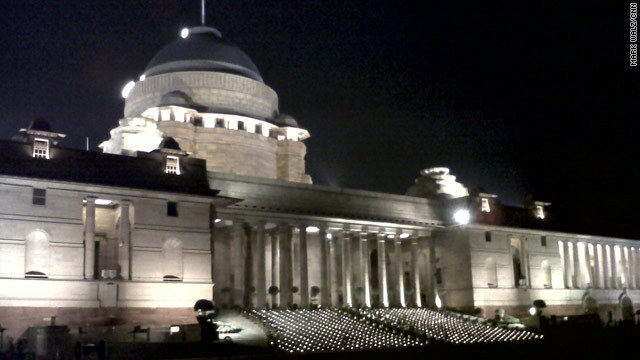 CNN Photojournalist Mark Walz took this picture tonight at the Indian presidential palace. He says the steps are covered with hundreds of lit candles. I read that they were traditional oil lamps, not candles, lit to mark Diwali (festival of lights) celebrations.